As above. Any length 1m onwards. Preferably UK terminated. PM me price and length/ termination. Selling the XLR caps as listed below: 1 pair of Pure copper gold plated XLR cap (Male) 2 pairs of Pure copper gold plated XLR cap (Female) Specifications: 1) Made of pure copper, the best effective material to isolate EMI and RFI noise absorption. 2) The best 24 carat gold-plating techniques 3) Completely fit over unused connectors, protect them from oxidation, dust and corrosion. 4) Pure Teflon inside, the best material for isolation. 5) Non shorting design to reserve all signal from the source Review: "As I plugged in the XLR caps and hit the play button, I was shocked! Katie Melua's voice emerged with such delicacy and refinement. Her voice was free from grain and I could depict her better emotionally. Without the XLR caps, her voice was masked with a layer of whitish hash. This greatly impacted the nuances inherent in Katedtie's voice. Not only this, there was such incisiveness that was infused into the overall presentation. Everything seemed to be energized with better presence, higher density and more solidly portrayed within the acoustical space. Without the XLR caps, things seemed flat and lethargic, making listening to music a chores rather than an enjoyment." Quoted from: http://www.enjoythemusic.com/Magazine/equi..._audio_caps.htm Condition is near new - no signs of oxidation. Initially bought them as i am using RCA cables. Shortly after, i have switched to XLR and the caps are spare now. Bought them from MusicLink for S$48 per pair. Valgrind charges me S$450 for the mod/recable. It is best if you can find time to try out the Valgrind recabled HD600 from Victor/Aaron. I have not tried the ED9 but i think someone has mentioned that performance wise they are nearly on par though naturally, the sonic signature is different. To me, there is a huge difference to the HD600 prior and after the mod. Regarding the wearing of the Westone 3, I have the same thoughts as Jim Barry @ Head-fi: "I find this a problem too. I was so frustrated that I actually came very close to returning the W3. But I have figured out a workaround. Here is a picture to illustrate the issue: The UM2 clearly allows to tip to go quite a bit further into the ear. My solution is to cut off a small piece from an old Comply tip and use it as a spacer to push the tip slightly away from the body of the earpiece: Here is the end result: Now I get the same isolation I had with the UM2, and the sound quality is great. The only problem is that when I take the earpieces out, the tips tend to get left behind (not a huge deal as they are easy enough to pick out of my ears). I might try applying a few spots of glue to the outside of the sound tubes, so that the tips don't come off quite as easily." For me, when i fit in the grey tips, i will not insert the tip fully into the Westone 3, but leave about 1-2mm of the nozzle exposed. I find that this creates a better seal for me and the image firms up. A repost of my previous impression: I am using the Valgrind Caps together with the mini to mini interconnects. 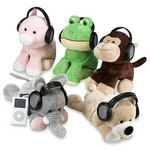 To my ears, in general, they reduce listening fatigue so that i can listen longer and enjoy the music. Music sounds less harsh and thus more enjoyable. On tracks where there are a few guitars playing, the separation is there- i can make out the tune from each guitar. Prior to the valgrind, the tunes from the various guitars just sound "meshed" up. I also used the Westone UM2 IEM. The caps reduce the hissing when music is played back via the UM2. The caps also lowers the noise floor. This makes the music sound more "alive" admidst a quieter background. Details become easier to make out. There is more body to each instrument and vocal. Previously, without the Valgrind, the instrument/ vocal sound lack of "richnesss or fullness". From http://www.stereophile.com/reference/50/index7.html: Soundstaging or soundstage presentation is the accuracy with which a reproducing system conveys audible information about the size, shape, and acoustical characteristics of the original recording space and the placement of the performers within it. In my case, the sound stage does expand with the use of valgrind. Before the valgrinds, the instruments and performers just seem to be like sardines next to each other. With the valgrind, i can sense the space, both laterally and in depth, of the relative placements of the instruments and vocals. Those in-ear-monitors (IEM) that you can get off the shelf such as the Westone UM1, UM2; Shure SE530, Ultimate Ears Triple-fi etc comes with many tips so that you can find one that fits your ears, i.e. create a decent seal when the IEM is placed at the opening of the ear canal. Customs, on the other hand, are IEMS that are made for your ears only. You have to get an audiologist to make an impression of your ear canal and the IEM company will make a IEM based on that. This customised IEM does not come with any tips as the entire piece of IEM is meant to fit into your ear and yours alone. For customs, the drivers used might be the same as those IEMs off the shelf but the customs have an advantage in that, based on the anatomy of your ear canal, the drivers will be placed in an optimum position for the best audio quality. As above. PM me price and condition.